Adding tobacco to a cannabis joint doesn't improve the experience of being stoned, but it does reduce the memory impairment inherent to cannabis use, finds a new UCL study published in Psychological Medicine. The study is the first to look at how cannabis and tobacco interact when mixed together in joints, which is how the majority of cannabis users in Europe consume the drug. "There's a persistent myth that adding tobacco to cannabis will make you more stoned, but we found that actually, it does nothing to improve the subjective experience," said the study's lead author, Chandni Hindocha (UCL Clinical Psychopharmacology Unit). The study participants were 24 healthy, non-dependent but experienced users of cannabis and tobacco. They each took part in four sessions, smoking joints that included: cannabis and tobacco, cannabis and a placebo, tobacco and a placebo, or just the placebo of both. Their episodic memory was tested by having to recall passages of prose, which they heard before and after smoking, and they completed a task to test spatial working memory. The study team measured their heart rate and blood pressure, and participants rated their mood and experiences. 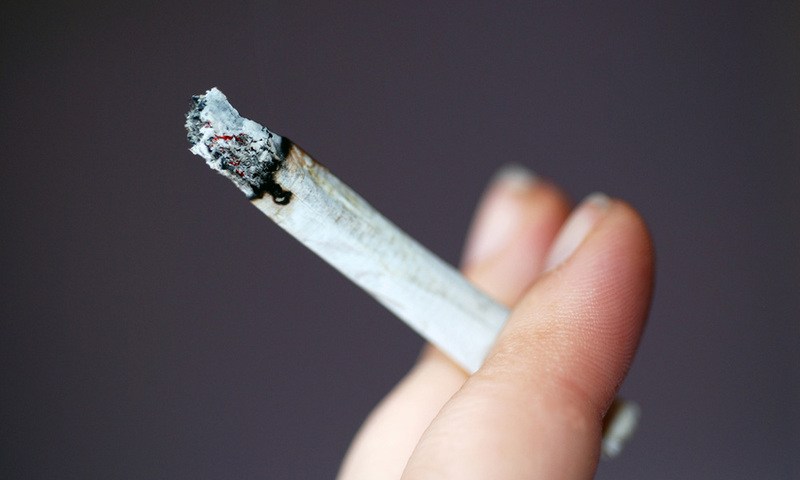 Consistent with previous studies, cannabis impaired the participants' memory. Adding tobacco reduced this impairment, which the researchers say relates to prior findings that nicotine can improve concentration. Heart rate was highest when tobacco was combined with cannabis, while there was a moderate increase in blood pressure among participants who combined the drugs, which the researchers say could add to the cardiovascular risk of smoking cannabis. "In a previous study, we found that the large majority of cannabis users in Europe smoke cannabis with tobacco. Tobacco's ability to reduce the memory-impairing effects of cannabis may be part of why people add it to their joints," Hindocha said. "Surprisingly little research has been done on how tobacco might alter the effects of cannabis. As cannabis gets legalised in more countries, it is essential that any changes in cannabis policy consider their interrelationship." Senior author Professor Val Curran (UCL Clinical Psychopharmacology Unit) said: "There is a clear public health implication here, suggesting that smoking tobacco with cannabis does not improve the stoned feeling but is still worse for physical health." Dr Tom Freeman (Senior fellow of the Society for the Study of Addiction), who was part of the research team while based at UCL, said: "We now know that tobacco can reduce some of the unpleasant effects of cannabis in the short term, by boosting memory and attention. These findings provide new insight into why people add tobacco to their joints, and are often addicted to tobacco after they quit cannabis."